Manifest money fast meditation. Listen to this for 21 days while you sleep and watch what will happen. I was struggling to get my career going for numerous years. My wife was, my girlfriend at the time, was in debt because I couldn't pay for anything and I started doing what I'm about to share with you. What ended up happening actually astounded me. It only took about 24 months for me to become a millionaire. About 24 months before then, paying $30 at the grocery store stressed me out. Think of something that you would love that money could help with. In this blog, this meditation is going to allow you to open up the floodgates for money to start flowing into your life. It may sound too good to be true, but money is just energy and we're meant to live full, successful, fulfilling lives. That means you can use the energy of money towards your highest desires. 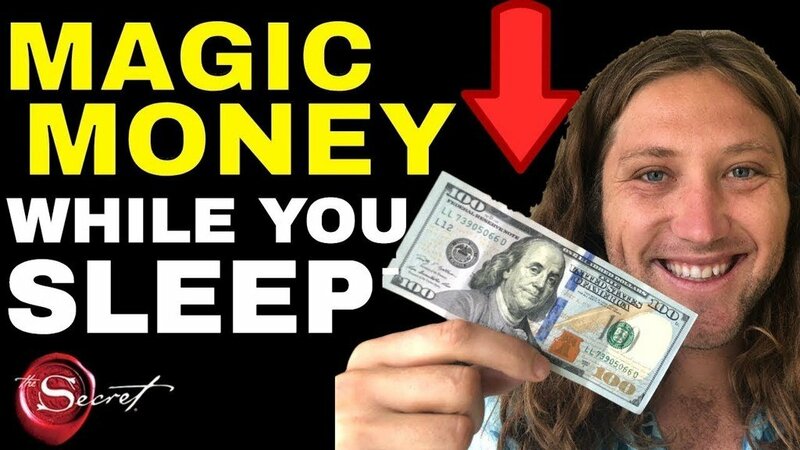 This meditation is going to allow you to manifest money fast. Listen to it for 21 days. We're going to talk about this meditation, but first I want to explain to you why this is important and why you haven't been able to attract money before. Sometimes people will leave comments or they'll email me and they'll say "Jake, you know, it's really bad of you to talk about manifesting money and getting people's hopes up." Or they'll specifically say "It's very bad for you to put the word fast and money in the same sentence." I understand the sentiment, but it's not true. I understand where that was coming from because I was there when I couldn't pay for anything. My wife Ashley, was in debt and I read a quote, actually I didn't read it. The first time I heard it was at a Bob proctor seminar. Bob Proctor quoted Napoleon Hill, and this is from Napoleon Hill's book, Think and Grow Rich. He says "Riches, when they come, they come so fast and so abundantly that one wonders where they were hiding all those lean years." That money comes to you so fast, eventually out of nowhere that you're like "Where has it been hiding this whole time?" I remember listening to him and I didn't know anything about this guy, Bob Proctor, and I thought he was just a salesperson. After that, he said something very interesting. He said "Suspend your disbelief." He said "The only reason you go into a movie is because you suspend your disbelief. Here, suspend your disbelief to that ideology that money can come to you quickly and just see what can happen in your life. Comment down below: Large sums of money come to me easily. Seriously comment that down below because our society has convinced us that money is very hard to come by. Neuroscience tells us that brain cells that fire, together wire together. You have a thought, you have an emotion - "I'm broke" or you feel a stressful emotion with respect to money, you're firing nerve cells in your brain. When you fire the similar nerve cells over and over, they wire together, which means it creates the neurocircuitry of your brain. It's essentially creating the electrical circuits of your brain that are ultimately how your brain processes reality over and over and over. You fire over and over again "I'm broke, I'm broke, I'm broke", you heard your dad say that money's hard to come by. You think you're not good enough for it. It's wired into your brain, so you need to use a meditation like what I'm about to share with you, especially before sleep as an avenue to reprogram the mind. The reason I say before sleep is because before you go to sleep, your conscious mind starts to disappear and you get directly into the subconscious. The subconscious, according to psychologists, controls 95% of our life. You have 65,000 thoughts in a day and 95% of your life is unconscious. Subconscious meaning it's habitual. It's programmed in you, meaning 95% of your financial life is habitual. I work less hard than I've ever worked before and I make more money than I ever worked. I used to work so hard that I wasn't ever sleeping. I was sleep deprived. I had all these problems and how many people do you know like that? They work harder than ever, but things aren't working out. This meditation is going to rewire this thing for you so that things start speeding up into your life. What you're going to do is think of an end result as if the money you want had already happened. Perhaps you're calling your mother to surprise her with a first class flight. You're running home to tell your wife or your husband of this great news. You're shaking hands with a client because you're just closed an epic real estate deal. You're shaking hands with your new customer. You're jumping up and down with a family member. You're by yourself running on a hike through the forest, celebrating the fact that some great financial thing just happened to you. What is a thing that might occur, had you hit your financial goals? Something great that would happen if you already achieved what you want. Think of it. Think of it right now. Go ahead, stop for a sec and just think of something that would feel real. For instance, I could imagine running into the house and telling my wife "Hey, this just happened!" Think of one thing. It could be anything, but just think of one thing. It could be you celebrating by going on a trip. It could be anything, but think of one thing. The way that this works is your mind works in images and you need an image with an emotional response in order to fire new nerve cells. Before sleep, you're going to replay the same images over and over and over and over again. Maybe you thought of an image of you and your lover flying first class somewhere, of you running into the house to tell your mom, of you shaking hands with a client or a customer. It could be anything, but you picture it. Before bed, simply what you're going to do is replay the same financial success and results over and over and over again as if you already achieved the financial success that you want. Replay it over and over. In bed, you're just saying "Thank you. Thank you that large sums of money come to me. This amazing thing happened." You're seeing the image of it showing up into your life. "Mom, guess what? Dad, guess what? Oh my God, my friend. Guess what?" You're overwhelmed with excitement in your own imagination. What is this doing? It's changing the neurological associations with money in your brain. 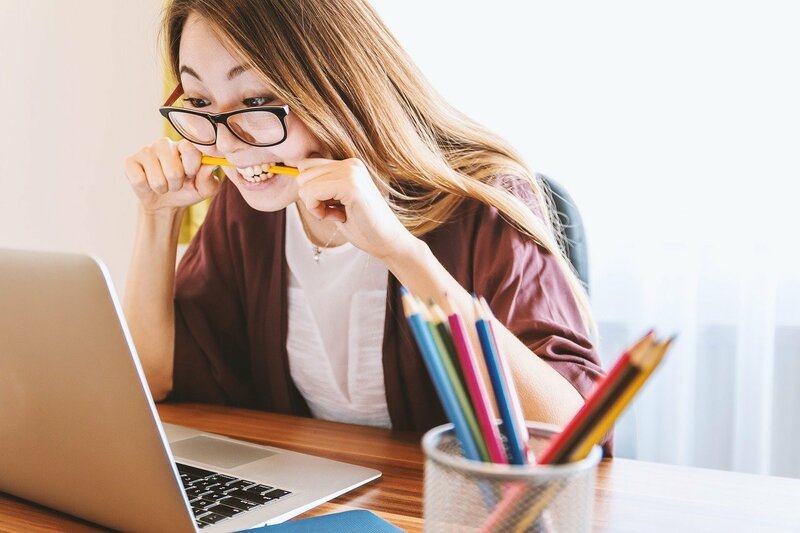 For so long, you may have been financially disappointed, so the neurological connections that you have in your brain are wired towards a struggle financially, but nerve cells that fire together wire together. You can fire new nerve cells. You can fire your brain in new ways, but the only way to do that is use your present consciousness. Re-imagine end results as if they've already happened to trick your mind for it. Get your mind to start feeling the sensations of what it would be like to have excitement around money instead of despair around it. Feel joy and generosity around money as opposed to jealousy for people who have it, to feel excitement and freedom around money to buy the food that you want for lunch, to buy the stuff that you want at the store, to do those things, as opposed to you wishing you could do them and then feel bad about the fact you can only wish them. It's changing the associations in your brain. For the next 21 days, what you're going to do is over and over and over again, replay end results. These end results can change over time, but keep picking end results. One time it might be celebrating with a parent, with a friend, with a family member. Another time, it might be shaking hands for the customer and you're imagining yourself helping them. Another one might be surprising your kid with a new car or putting your kid through school or surprising a single mother that has had to walk their kid to the bus stop every day and it causes them to be late to work because they don't have a car and you bought them a car in cash and you're imagining the same situation over and how freaking good it makes you feel. The feeling is what activates new brain cells and it wires your brain for a positive association and positive reality with money. Then, given that psychologists say 95% of your life is controlled subconsciously, your brain unconsciously starts to recreate a reality for you attracting people, circumstances and situations that bring prosperity into your life. That's why Bob Proctor said "Riches, when they come, come in such vast quantities, that one wonders where they were hiding all those lean years" They just start showing up because the subconscious that controls 95% of your life, the machine that's controlling almost your entire life without your conscious effort, has finally been programmed for financial success so it starts showing up. It's without your conscious effort because it's subconsciously. I created this when I was struggling. I was sick of my wife at the time, coming back exhausted every single day and I felt like crap because she was paying for things that I couldn't help with. I created this financial success hypnosis to start to retrain my thought patterns, my belief systems to ones of prosperity, rather than wish, hope, doubt, fear and anxiety with respect to money. As you're going to bed tonight, play it softly. You will be amazed at the things that will start showing up in your life when you listen to this thing. It's astounding and it changed my life forever so I was like "I wonder if anyone else is going to get these results?" I started giving to them to my friends. When I used to do a lot of coaching, I would give it to my clients. They were getting great results. Eventually, I just put it up for free online and now over 300,000 people from all over the world have used it. Start to use that at night while you're replaying your end result over and over. 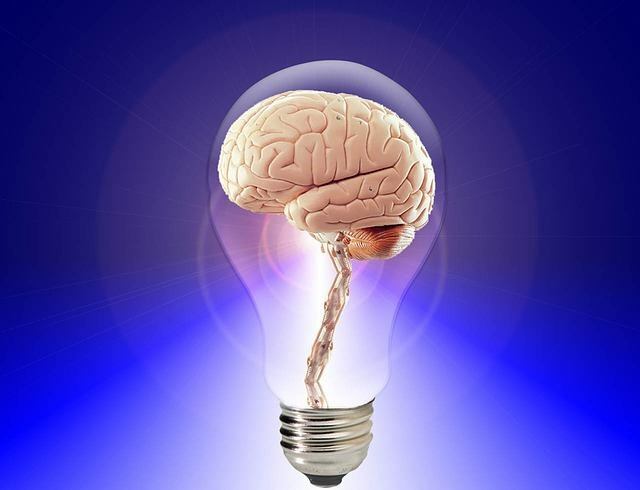 The way you retrain the brain or the subconscious is through repetition of an idea. What you're doing is using repetition of a new image to train your brain for a reality that does not yet exist. It's called the future truth. Future, meaning it hasn't happened yet, but it's already the truth. It hasn't happened yet, but it's all ready the truth. You have to train your mind like that. You have to train your mind that you know, like you know, like you know it's about to come. It's already here. Your brain is already feeling the effects of the excitement that you have prosperity in your life. You train your brain for it, regardless of what your present circumstances in your life tell you, and that's what starts to pull the money into your life. Before sleep, use this. You're moving into the theta brainwave state right before bed, which is akin to hypnosis, which is akin to the first six to seven years of your life when you're pretty much a sponge soaking up all the money beliefs of your parents, your grandparents, or foster parents or the adults around you. That programming in those early years is what has controlled your life today. Comment down below: Large sums of money come to me now. Even if you worked hard, the old programming is what controlled it and now you can rewire it using this money meditation technique. Before bed, use it for the next 21 days. This is very powerful. When your brain is set up for success, success comes to you. It's just like one plus one equals two. It's never going to equal four. When your brain is set up for success, you achieve success, and great things start showing up. For me, things happened fast and I'd love to know how quickly they start showing up in your life. If this blog speaks to you, make sure you read it back through one more time to grasp all the ideas so you can immediately implement them into your life tonight. Manifest money and use this for the next 21 days while you sleep. It's free to use to train your subconscious mind for a life of prosperity. Thank you for reading this blog. Use this meditation for the next 21 days. Come back on this blog and share your success story.